These moves bring 'move fast and break things' to life. Editor’s Note: In the new podcast Masters of Scale, LinkedIn co-founder and Greylock partner Reid Hoffman explores his philosophy on how to scale a business -- and at Entrepreneur.com, entrepreneurs are responding with their own ideas and experiences on our hub. This week, we’re discussing Hoffman’s theory: if you're not embarrassed by your first product release, you released it too late. Yet, living by his famous mantra, “move fast and break things,” Zuckerberg and his team scaled Facebook into social network that today connects 1.8 billion people. But it wasn’t just this quick-moving philosophy that helped Zuckerberg build a multi-billion dollar company. Important strategies and approaches gave the team the focus it needed to grow and bring that mantra to life. Zuckerberg discusses those approaches in the latest episode of Masters of Scale, a 10-episode podcast hosted by Reid Hoffman, the LinkedIn co-founder and Greylock partner, a show that explores unconventional theories for growth. 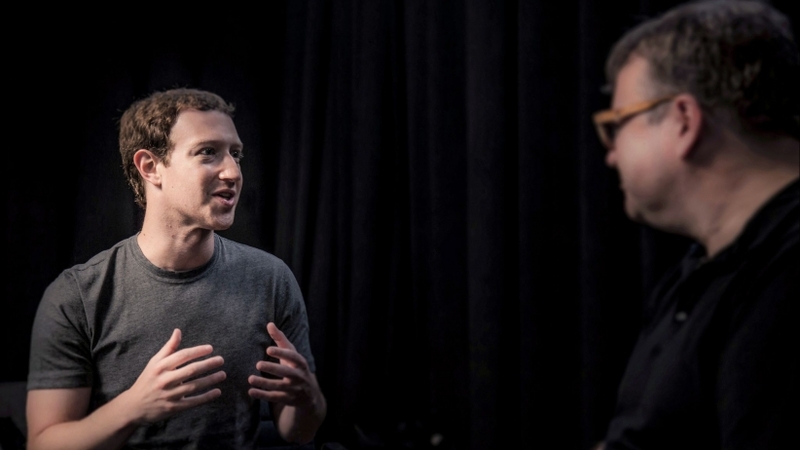 In his conversation with Hoffman, Zuckerberg shares his strategies for scale as well as what other entrepreneurs can learn. Below are excerpts from this chat -- as well as anecdotes not included in this week’s podcast -– published first on Entrepreneur. 1. Have conviction -- you’ll need it. “There were a lot of people who were voicing concerns about it,” Zuckerberg recalls. Indeed, in a post last year celebrating 10 years of the News Feed feature, Ruchi Sanghvi, the woman who oversaw News Feed, describes the backlash a little bit more vividly. Despite the criticism, Zuckerberg and his team knew they were onto something. And they were right. The engagement numbers went up dramatically after the feature launched – and News Feed continues to be a major pillar in the Facebook experience. Having convictions -- and knowing why they’ll help you grow -- can help you decide when to listen to feedback and when to wait out the critics. Facebook doesn’t guess -- it tests, all to ensure it delivers the best possible experience to users. For instance, on even given day, Facebook can run up to 10,000 different versions of the social-media network to measure how many people are sharing and connecting, along with how much revenue the site is generating. “Giving people the tools to be able to go get that data, without having to argue whether their idea’s good through layers of management before testing something, frees people up to move quicker,” he says. 3. Create a framework for innovation. But while working both on mobile and rolling out new features on desktop, the team couldn’t get the new experience right. To transition his team into this new strategy, Zuckerberg provided training and set strict rules for pitching new ideas. “Anytime you come in for a product review, you need to show me the mobile version first or I’m going to kick you out of my office,” he recalls telling employees. Being clear about expectations can keep staffers focused while planning for big transitions. 4. Build a team for the long term. Most members of Facebook’s leadership team grew into their current roles, says Zuckerberg. “Ten of the folks who are the management team of the company basically grew into these roles from doing different things—everything from, one woman started as an executive assistant, and now is running our growth team, and another person started as an engineer and now is running a huge product group, and ran HR along the way,” says Zuckerberg. There’s an efficiency to this approach, of course. “By the time that you build this management team of people who have been in the company, they've all been working together, and they know how to get things done—and there's good trust, and good alignment on values,” he says. 5. Hire people better than you. The difference between good companies and great companies lie in the hires, says Zuckerberg. He says better companies have founder who are confident enough to surround themselves with stronger talents.